With the passing of cinematographer Laszlo Kovacs (Easy Rider, Paper Moon, Five Easy Pieces), the industry lost one of the great cameramen of the New Hollywood era. In a recent interview by phone from Los Angeles, cinematographer Allen Daviau (E.T., Empire of the Sun), who is contributing a piece to the next issue of Stop Smiling, took a few moments to offer these words of praise about Kovacs, who died last weekend at age 74, and fellow Hungarian émigré Vilmos Zsigmond (McCabe & Mrs. Miller, Close Encounters of the Third Kind, The Deer Hunter), both of whom fled to the United States after the Hungarian Revolution in 1956. 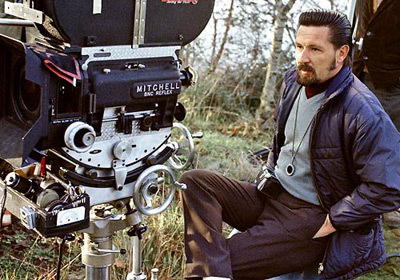 Allen Daviau: Those of us who were independents trying to get in the union as cinematographers, our heroes were Haskell Wexler and Conrad Hall. Lo and behold, arrived the two Hungarians, and we were also impressed by them. There were those of us born and raised in Los Angeles and we couldn’t get into the union. Then two guys come over from a communist country and managed to do such a fantastic job. Their determination and talent taught us not to be discouraged by the opposition of those who tried to block our efforts. We owe much to the example they provided.